Filing taxes every year is an important obligation. If it’s done incorrectly, you could have too much taxes withheld or too little, which determines whether you’ll get a refund or not. So, what’s the difference between claiming 1 and 0 on taxes, and which one is the better option for you? Allowances – Allowances are marked on your W-4 when you start new employment, and the amount you mark will depend on your situation like number of jobs you have, marital status, number of children, etc. You can adjust them at any time to make sure you have the correct amount of taxes taken out. Exemptions – Exemptions reduce the amount of income being taxed and is claimed on the IRS Form 1040. You can claim yourself, your spouse, and each qualifying dependent. If someone claims you as their dependent, you cannot claim yourself. What’s the Difference Between Claiming 1 and 0? The difference between claiming 1 and 0 on your taxes will determine when you will be getting the most money: with every paycheck or in one lump sum during tax season. Each allowance you claim lowers the income subject to withholding. For example, if you have 1 job, you can either claim 0 or 1. If you prefer to receive your money with every paycheck rather than waiting until a certain time every year, claiming 1 on your taxes could be your best option. Claiming 1 reduces the amount of taxes that are withheld, which means you will get more money each paycheck instead of waiting until your tax refund. You could also still get a small refund while having a larger paycheck if you claim 1. It just depends on your situation. If are single, have one job, and no dependents, claiming 1 may be a good option. If you are single, have no dependents, and have 2 jobs, you could even claim both jobs on one W-4, and 0 on the other. Your parents still claim you as a dependent – If you are employed (whether 16 or 20), and your parents still claim you as a dependent, you might have to claim 0 on your taxes because you cannot claim yourself since your parents already do. Other income – Another situation could be if you have other income where tax is not withheld like a self-employed job, contract positions, selling stocks, or interest on savings. To avoid owing taxes for those situations, it might be best to claim 0. Should You Claim 1 or 0 on Your Taxes? How much you claim will be determined by your lifestyle and living situations. 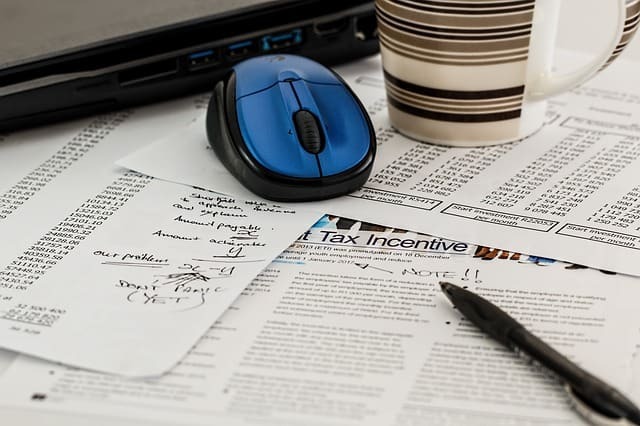 As mentioned previously, things like marital status, children, number of jobs, and more can help you determine what you should claim on your taxes. The best option for figuring it out is to talk with your accountant or contact an IRS agent. This is the most common reason that people have to adjust their W-4. Whether you have a home business or get another full-time job, you’ll want to change your W-4 to match it. Any change of household income will also require a different tax bracket for allowances. Based on the income change, it may be beneficial when one spouse claims the allowances over another. If you get laid off or stay unemployed for the remainder of the year, you may have too much tax withheld. But, if you are re-hired within the same year, you’ll have to adjust for the downtime. Tying or untying the knot will change your tax rate – especially if both spouses work. Joint filing gives a lower tax rate and other deductions, so a divorce will also reverse the benefits. Your withholdings could be inaccurate if not adjusted properly. Having a child is a major tax event since you now have a dependent as an allowance. Adoptions also give you another tax credit. Either of these situations can reduce your withholding amount with the tax benefits, so you’ll want to adjust it.